I don’t usually quote much from sources other than the Bible, but today is different – today I feel a quote or two coming on. Raymond Brown compared ‘the search for the perfect hermeneutic to the search for the Holy Grail. 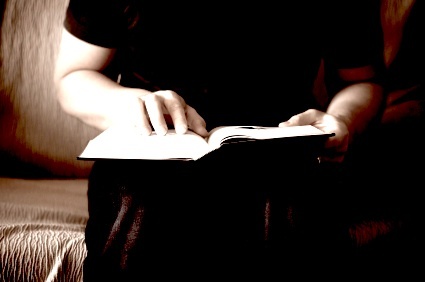 Everybody approaches the new hermeneutics with the conviction that this is the answer, and then after twenty years you will find its limitations.’ For those uninitiated into theology-speak, hermeneutics is simply the name given to the science and method of interpreting texts. Is Raymond Brown right? Do all interpretive systems have their limitations? Yes, I think he is correct in what he says and I am sure that any proposal will be found wanting to one degree or another. Perhaps the search should be for the best rather than the perfect hermeneutic. Seeing as how I am in quote mode, let me give you what the famous Charles Spurgeon wrote; ‘O you who open your Bibles and want to understand a text, the way to get into the meaning of a text is through the door, Christ.’ From what you have read in my posts so far you will know that I heartily agree with Spurgeon. I have even had the boldness to give this hermeneutic a name – The Christocentric Principle (CP). I define the CP as ‘Interpreting the Bible and the world primarily through the lens of Jesus’ Words, Works, and the biblical revelation of His Nature, Character, and Values’. I will need to expand on this in order to make it as clear as I can. The principle is that we should look at the Bible and life through the lens of the Lord Jesus Christ. If we do this then we will have what Paul referred to as ‘the mind of Christ’ (1 Corinthians 2:16). How do we know how Jesus viewed the world? We know His view-point because it is revealed in the Bible. The Bible of course contains a lot more than a record of what Jesus said and did and so we also need to view the scriptures through His eyes. What He said and did reveals more than just words and actions, it also reveals His nature, character, and values. So the way to interpret the Bible and Life is to apply Jesus’ values and the revelation of His nature and character as demonstrated in what He said and did. Jesus is ‘the image of the invisible God’ (Colossians 1:15) ‘for God was pleased to have all his fullness dwell in him’ (Colossians 1:19). 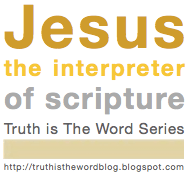 Therefore Jesus is the primary interpreter of the Bible. In my definition of the CP I use the word ‘primary’ because it is obvious that it is just not possible to apply the CP to all and every biblical text. Equally obvious is the need to use other interpretive methods to the biblical text, methods such as context, genre, grammar, and so on. However, I sincerely believe that the CP should be our primary interpretive method.